I have a door that's normally open. So it should be green on my dashboard. It should turn red when closed. Is there a way to set it up that way? Try modifying the template for the door device and reverse the colors. Wouldn't that change the colors for all of the sensors that use that template? I just want to apply this change to the one sensor that needs it. Is there a way to add another template? I didn't see a way to do it. Pick your sensor and then assign Door Status template to it. Modify the open and closed background colors for Door Status. For all the other contact sensors that you want to use the normal green when closed, assign the contact sensor template to them. Thanks, @SmartHomePrimer, that totally worked. 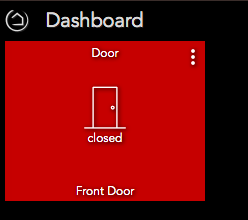 Actually, I just switched my normally-open door to the contact sensor template, then modified the contact sensor template to be green/open and red/closed. AFAICT, this approach is the only way to solve this example currently. Still, it's a bit of a kludgy solution. It means that my contact sensor shows door icons for all contact sensors. It's ok for me for now because I'm not using any other contact sensors. 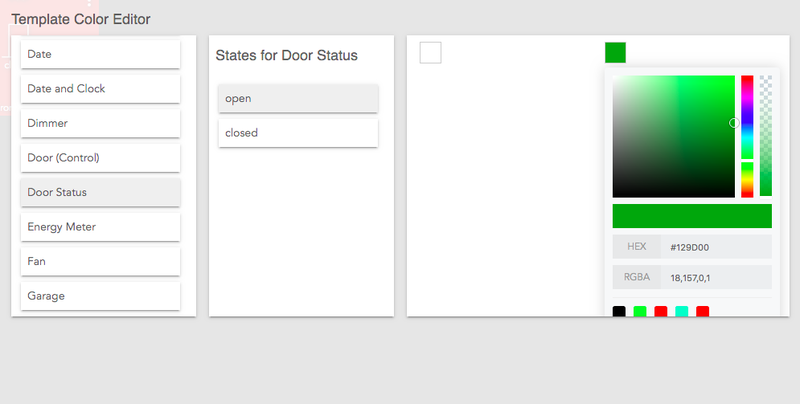 But if I add another contact sensor that I need to not be a door, I can't. I think the devs need to fix this: a solution would be to allow the individual overrides have different true/false colors/icons. Thanks, @SmartHomePrimer and jkudave, for the help! 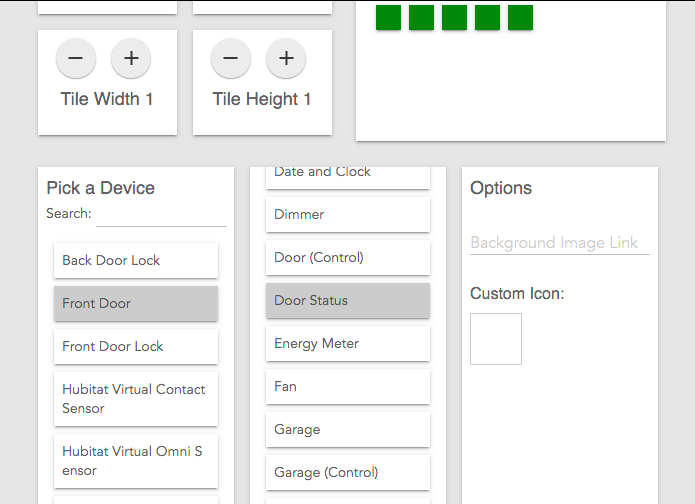 Yes, that was my reasoning for choosing door instead of contact sensor, as I has assumed you would have more contact sensors to monitor than doors, but if this works for you then great! I think the solution will be custom templates, but they are not available right now. There are no plans for custom templates any time soon. This is not technically possible in how dashboard is written. With that said, we are looking at options for additional customization options down the road.